Hall of Fame boxer Matthew Saad Muhammad, former WBC light-heavyweight champion who is considered one of the most exciting action fighters in the sport’s history, died Sunday in his hometown of Philadelphia. He was 59 years old. While the cause of death has not officially been announced, Saad Muhammad reportedly suffered from amyotrophic lateral sclerosis (ALS), better known as Lou Gehrig‘s disease. Born Maxwell Antonio Loach on June 16, 1954, then renamed Matthew Franklin as a small child after being orphaned and abandoned by his family, Saad Muhammad converted to Islam and changed his name again during a boxing career in which he compiled a 49-16-3 record with 35 knockouts. 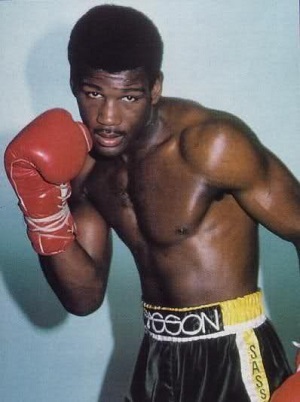 In April 1979, Saad Muhammad scored an 8th-round TKO over Marvin Johnson to win the WBC light-heavyweight title. Over the next two and a half years he successfully defended the belt eight times, including victories over former champions Yaqui Lopez and John Conteh. His match against Lopez was named 1980’s Fight of the Year by The Ring magazine. (His 1977 non-title match against Johnson is also considered one of best action fights in modern history.) In December 1981 he lost the title via 10th-round TKO to Dwight Muhammad Qawi, a fellow Muslim and fellow member of the International Boxing Hall of Fame. The two had a rematch in August 1982, which Muhammad Qawi won via 6th-round TKO. Saad Muhammad never got another shot at a major title and retired in 1992. He was inducted into the International Boxing Hall of Fame in 1998. In the days since his passing, writers have compared his in-ring style to Arturo Gatti and Jake LaMotta. As recently as 2010, Saad Muhammad had fallen on hard times financially and was homeless, living in a shelter in Philadelphia. But by the time of his death, he had reportedly gotten back on his feet and found a home, and was working with community programs to fight homelessness.